Hey everyone, just 2 weeks away from picking up my new XR from BMW Park Lane. 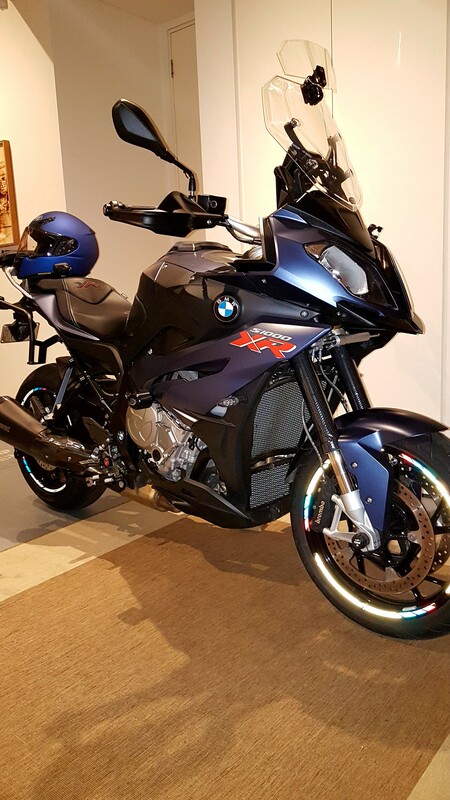 It will be a Sport SE Ocean Blue Metalic Matt with the seat height reduction option, panniers set, top case, back rest, GPS, Black carbon Akrapovic. 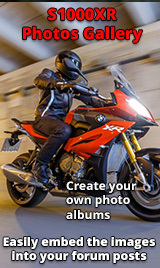 Check out the photo album mate loads of ideas! After that, it would all depend on how many "shekels" you have spare and how you want to personalize your weapon! 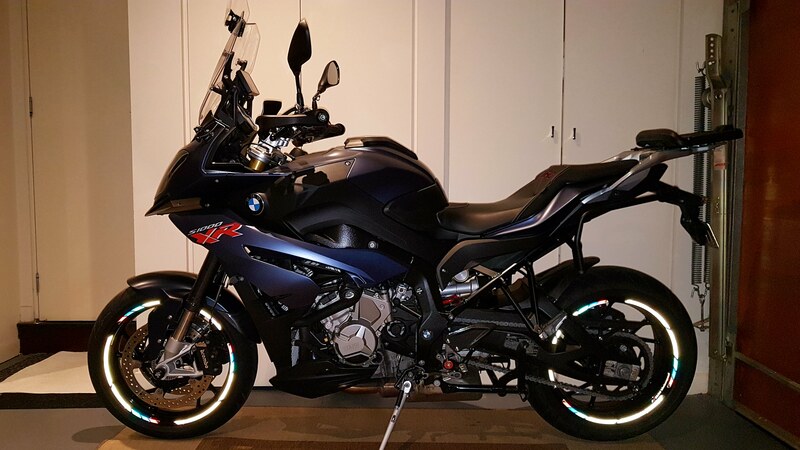 Here's a pic of mine... Front and rear axle protectors, rad and oil cooler guards, fork wrap, screen extension, front hugger extension, engine protectors or bars, crash bungs, HP seat, bar end weights, luggage, HP rearsets, Akra exhaust, rim stickers and a couple of other bits and pieces such as Optimate 4 and grease Ninja, a workshop manual and a set of torx sockets! On a slightly different note, I would suggest an "interim" oil change at 5000Kms! Here's a pic of mine... Front and rear axle protestors, rad and oil cooler guards, fork wrap, screen extension, front hugger extension, engine protectors or bars, crash bungs, HP seat, bar end weights, luggage, HP rearsets, Akra exhaust, rim stickers and a couple of other bits and pieces such as Optimate 4 and grease Ninja, a workshop manual and a set of torx sockets! 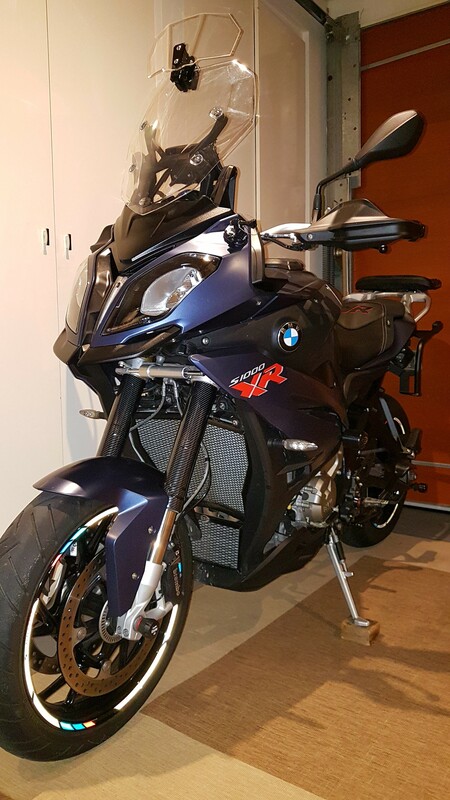 Looks great and you gave a few good ideas, I already have the radiator guards in black from my “old” 2016 S1000R. Akra exhaust will be the same as yours, my ideas for first mods would be the front and rear axle protectors and possibly a tail tidy. 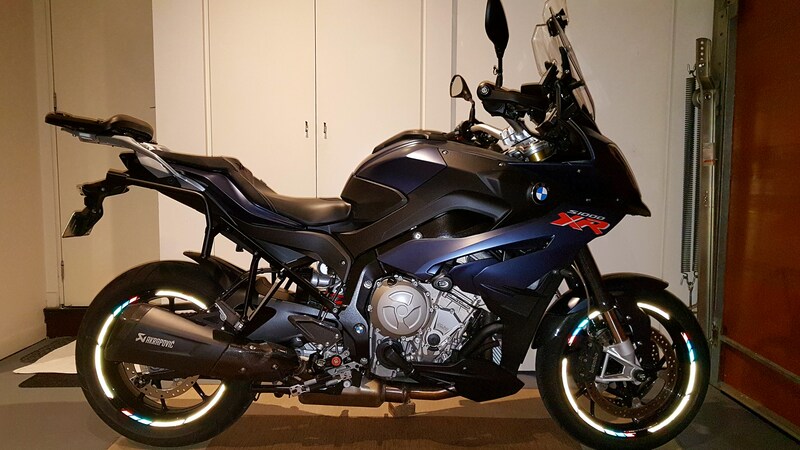 I forgot to mention that it will also come with the BMW crash bars, and also with the low seat option, which I need to see if it won’t be too uncomfortable before thinking about swapping for the HP. I would consider the screen extension for longer journeys as for me to commute doesn’t make that big of a difference. And could you also tell me about the Optimate 4 and grease Ninja as I have no clue what they are. I picked up the screen extension of Ali Express for A$30 for a test before, maybe, getting an MRA or Puig... but it's working great (6'2) so won't bother with another one just yet. Same for Carbon wrap, EBay or Ali Express. As far as I know, BMW doesn't make rear axle protectors so ordered some of EBay. Optimate 4 is a battery charger/conditioner required for CAN-bus vehicles such as BMW's.... which I plug in, whenever I head offshore for 4 to 6 weeks. And with one week to have my new bike in my hands I wanted to ask if there’s any difference between a 17MY and a 18MY? !